The WorldTracker Enduro Pro is a masterful balance of size, weight, battery life, and GPS performance. Despite being smaller than a credit card and weighing in around a mere 2 ounces, the Enduro Pro is a reliable tracker able to withstand extreme weather conditions. 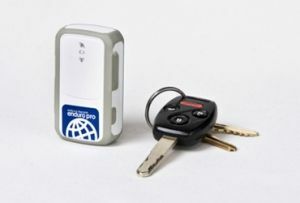 It can last up to 30 days on a single charge, functions well even in areas of low mobile coverage, and interfaces conveniently with browsers, smart phones, and cellphones. A quick start guide can be found here.